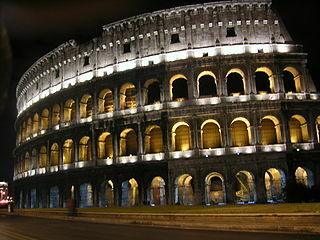 On November 29, the Colosseum in Rome, Italy, was illuminated in honor of Connecticut's repeal of the death penalty in April of this year. The event featured former death row inmate Shujaa Graham of California and George Kain of the Connecticut Network to Abolish the Death Penalty. Five states in the past five years have abolished the death penalty: Connecticut, Illinois, New Mexico, New Jersey, and New York. The program also commemorated the 10th World Day of Cities Against the Death Penalty, sponsored by the Community of Sant’Egidio, a faith-based organization focusing on conflict resolution and interfaith dialoge. See a slide slow of pictures from participating cities at this link. (Community of Sant'Egidio, "Cities for Life," press release, November 29, 2012; photo of earlier illumination of Colosseum by Jimmy Engelbrecht). See International and Recent Legislation.